Rivet Networks has written to HEXUS with details of an all-new Wi-Fi 6 technology-based module for gaming and high-performance PCs. 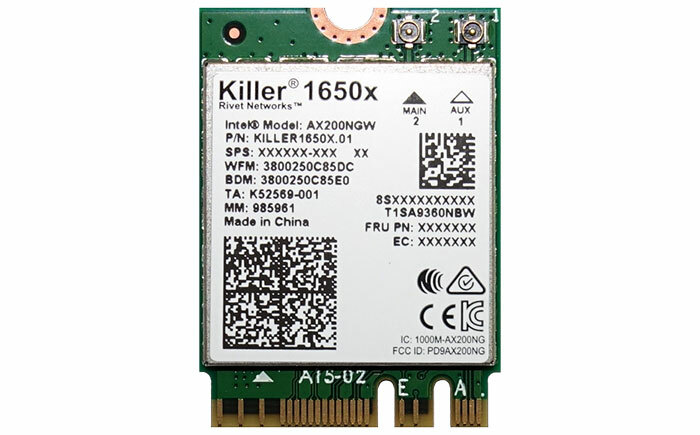 The new Killer Wi-Fi 6 AX1650 module is built around Intel's most advanced Wi-Fi 6 chipset, complemented by Killer's most powerful networking technologies. Enhancing the capable hardware, Killer employs its usual suite of tools, with a focus on gaming performance. For example users should benefit from 'Advanced Stream Detect 2.0 Technology' which prioritises important data packets and which can result in "up to 3X better in-game latency performance when using the AX1650 during peak network usage periods". Additionally 'GameFast Technology' automatically pauses processes that are not needed when gaming, freeing "up to 10 per cent of CPU cycles and 20 per cent of memory". Process analysing is even more thorough and smart now, thanks to the introduction of the 'Killer Intelligence Engine'. Another appealing feature of using Killer products is the amount of control afforded by the 'Killer Control Centre 2.0'. This tool is said to be intuitive but offer a rich interface for user adjustments. Use this software to tweak and apply the features mentioned above and also for employing Wireless xTend technology that delivers MESH network capabilities and allows the computer to provide its network access to other devices. Last but not least, products that feature the Killer Wi-Fi 6 AX1650 plus a Killer Ethernet product can utilise 'DoubleShot Pro Technology', to enable the use of both interfaces at the same time to make the most of the connectivity options you have. 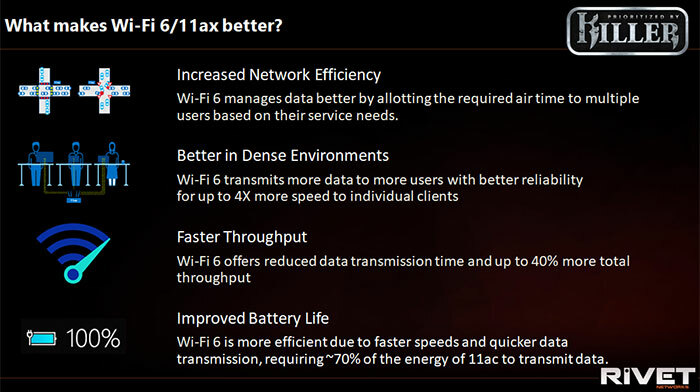 If you are interested in the Killer Wi-Fi 6 AX1650 you might be pleased to know it will shortly be available in some new Alienware laptops, namely the Alienware Area-51m, Alienware m15, and m17. 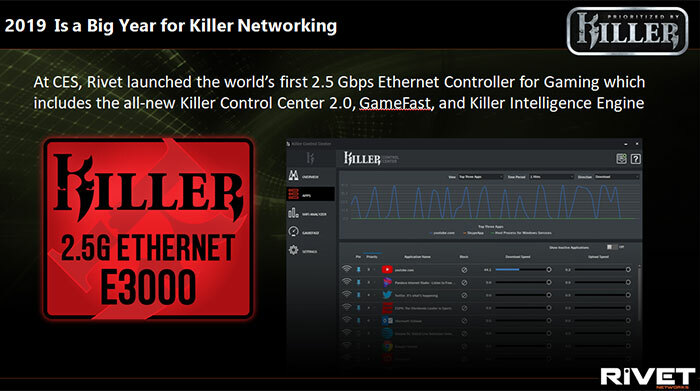 As a reminder, Rivet Networks launched its Killer E3000 2.5Gbps Ethernet controller only a few months ago, at CES 2019 with Dell, Alienwaer and Acer as early adopters.